Carol Flax has a BA in English from Heidelberg College and an MA in Speech & Theater from the University of Michigan. She has worked in theater, film, and, for the past 20 years, in marketing and communications. 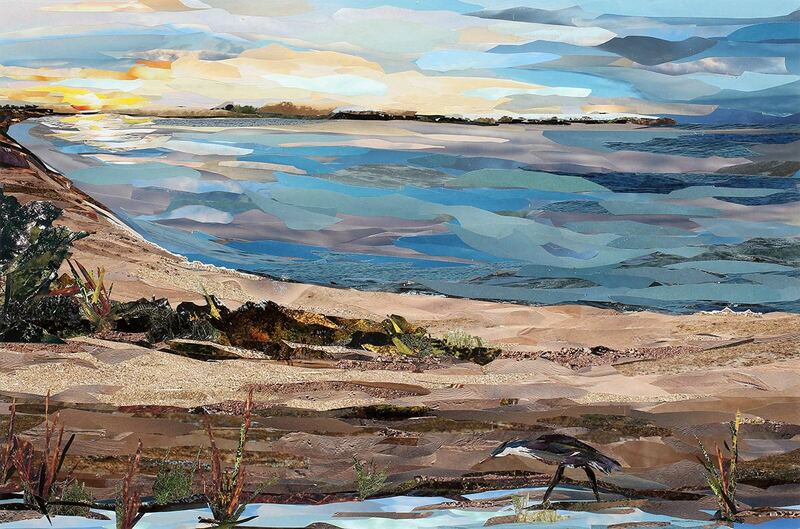 When she moved to Cape Cod in 2013, Carol revived a technique of representational collage that she originally developed in her twenties. She calls her work “Cut Paper Mosaics” as she uses cut reclaimed paper, applied in brush-stroke-like patterns, which reference the natural shapes and movement in the landscapes they depict. She uses her art-making as a lens through which to view her beautiful surroundings, in varying degrees of representation and abstraction. Carol is also an Associate Member of Audubon Artists, Inc., a member of the Arts Foundation of Cape Cod, the Sandwich Arts Alliance and president of the Society of Cape Cod Craftsmen -- one of the oldest professional fine craft organizations in New England.